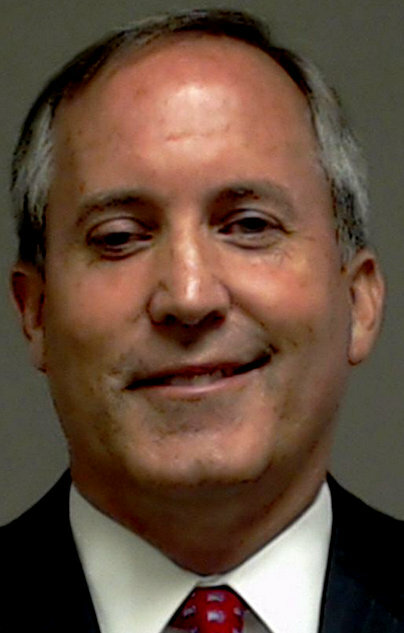 Anti-gay Texas Attorney General Ken Paxton was today arrested and booked on the three felony securities fraud charges announced on Friday. He was released on bond shortly afterwards. Around noon, the grand jury indictment against Paxton was unsealed, revealing that two first-degree fraud charges were based on Paxton’s efforts in July 2011 — when he was a member of the Texas House — to sell stock on behalf of Servergy Inc., a McKinney-based tech company. According to the indictment, Paxton failed to tell stock buyers — including state Rep. Byron Cook, R-Corsicana, and Florida businessman Joel Hochberg, who were listed as complainants on the fraud charges — that he had been compensated with 100,000 shares of Servergy stock. Paxton also said he was an investor in Servergy when he was not, the charges indicated. Paxton encouraged investors, including Texas House members, to put more than $600,000 into Servergy, special prosecutor Kent Schaffer told the New York Times last week.